Here at Lac Seul's Scout Lake Resort & McKenzie Bay Outpost, you'll find the fishing and atmosphere will make memories to last a lifetime. We boast some of the best walleye and northern pike fishing with all the comforts of home. Our cozy cabins sleep from 2 to 10 people, perfect for friends, couples or families. Cabins are outfitted with hot & cold running water and full kitchens. We also have a fish cleaning shack, ice and freezer service. Live Bait is available. Don't forget to try our Outpost for that truly remote fishing or moose hunting experience in the Canadian wilderness. American Plan Lodge: Our American Plan offers appetizing home-cooked meals served family style while overlooking beautiful Lac Seul. Cabin Rentals (Housekeeping): Our cabins are fully equipped with all the amenities of home. With full kitchens, hot and cold running water, and three piece bathrooms. 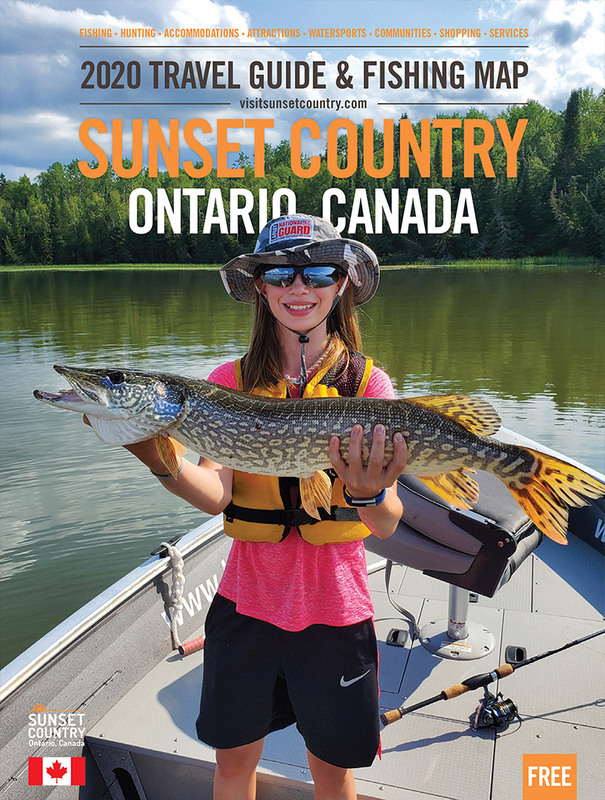 Outpost: Whether you are looking for a cabin on Lac Seul or a remote fly-in fishing outpost, we are confident that we have what you are looking for. Northern Pike: Lac Seul being over 400,000 acres is a very large lake that produces hundreds of 30” to 40” pike caught every year by our fishermen. Lake Trout: If you have never tried lake trout fishing, Confederation Lake is a fantastic lake for lake trout fishing. Moose: Lac Seul & surrounding area has excellent moose hunting. Our moose hunting trips take place in the fall. Black Bear: The package includes all bait, pre-baited bear stand 2 weeks prior to your arrival. We have tree stand locations but we recommend you bring your own. Birds: The fall in Northwestern Ontario is absolutely beautiful. So why not combine a fall grouse hunting with fall fishing both are awesome this time of year.